To become a great guitar player, you really need to look outside of your “comfort style” so to speak. By this I mean, be open to other styles of music, such as jazz. But what if you don’t like jazz, or even have any interest in playing the style? “Pigeon holing” yourself as a player limits your creativity and scope of playing on the guitar, running the risk of sounding like a clone of somebody else, and/or become bored and stale with your own playing. In today’s article I am going to present to you 5 areas of your acoustic guitar playing that will improve big time by being open to and learning from the style of jazz. Who Cares If You’re Not A Jazz Guitarist! Even though I studied jazz and have played it a lot, I don’t consider myself to be a jazz guitarist and I’m certainly not saying that you need to go and study jazz at college. What I am saying is to be open to other styles of music. Continually be on the look out for what you can grab from here and there to add to your own playing/style. Think of everything you hear and expose yourself to as one big musical smorgasbord/buffet of food. Sure you have your favourite stuff that you’re going to have on your plate most of the time, but it’s nice to add some other things to enhance the flavour, so to speak. Jazz guitarist’s are known for their very large chord vocabularies, meaning the amount of chords they know and can use musically. Through studying jazz tunes you will drastically increase your own chord knowledge and vocabulary as you will need to in order to play the style. The great thing is, these chords cross over to many styles of music and will be very useable to you outside of jazz. For examples of “jazzy” chords in non “jazzy” songs, check out John Mayor, Pink Floyd, or Tommy Emmanuel to name a few. Of course arpeggio’s are used in all styles of music, none more than jazz. However, because of the nature of jazz and the fact that you are constantly switching between different key centres within the one tune, arpeggio’s become necessary a lot of the time to negotiate these changes. You may have heard the term “playing through the changes”. This is what I am referring to here. It doesn’t matter if you play a style of music that is very diatonic and stays in the one key for the most part. 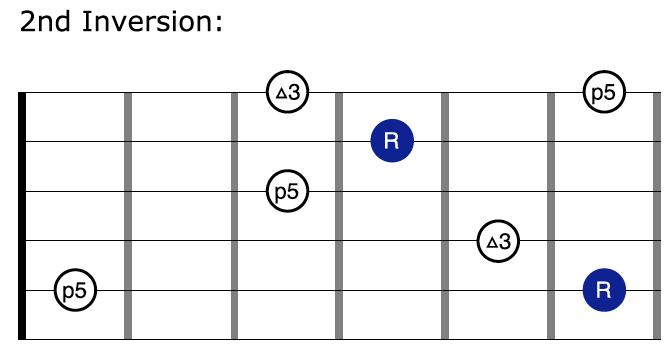 Arpeggios are a great way to target specific chord tones, bringing a much more melodic component to your playing. There are also many ways you can apply arpeggio’s to your playing than what meets the eye, so to speak. See further down this article for an example. Yes, improvisation exists in other styles of music just as arpeggio’s do, however with jazz it’s at the forefront. Your improvisational skills will massively increase both in soloing and especially in jamming with other musicians when playing jazz. Walking bass lines are very prominent in jazz, and it’s not always the bass that will play these. Often you’ll find a guitar in perhaps a duo or trio, where there is no bass player, adopting some walking bass lines to include in the tune. Walking bass lines can also be applied to really “jazz” up a blues progression, as well as providing you with insights that will contribute to acoustic instrumental arrangements you may create. 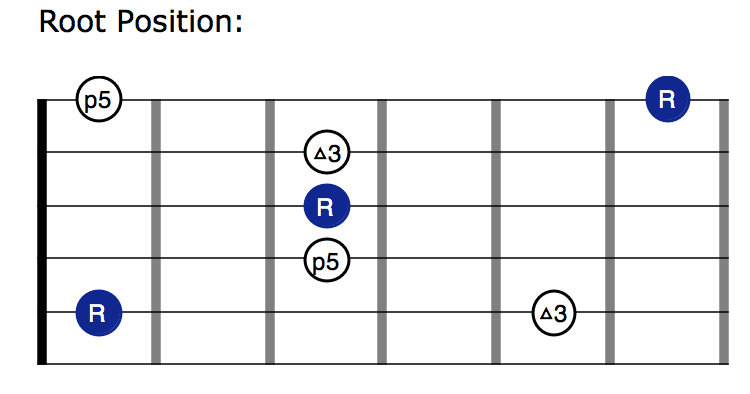 Let’s have a look at one application of arpeggios for your guitar playing. The following is what’s known as diatonic arpeggio substitution. This simply means you can substitute one arpeggio for another as long as the arpeggio you are substituting is from the same key. This concept opens up the gateway to many cool and unique sounds with just a couple of arpeggio shapes under your fingers. I will be substituting a G major arpeggio over an F chord. Both F and G are chords in the key of C, so we are sticking to our rule of diatonic substitution. By playing a G major arpeggio over an F chord we are actually getting a partial lydian sound as well as some upper extensions of the F chord. * Note that by substituting one arpeggio for another of the same key, you aren’t necessarily getting all the notes of the resulting chord. You are however getting the extensions that best describe that chord. I have highlighted these notes in the last column of the table above to bring this to your attention. To understand this idea further, I have created a free ebook/audio you can download that goes into much more detail regarding this really cool concept.